Also known as side rails or cot sides, simply choosing the right bed rails and the elderly greatly reduce their risk of falling out of bed. Although not suitable for everyone, they can be very effective when used with the right bed, in the right way, for the right person. Bed rails become such important parts of our lives in our later years. 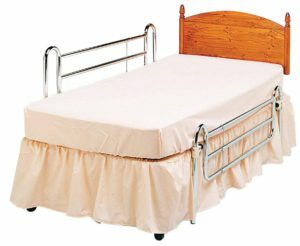 Attaching bed rails to the bed of an elderly loved one who is at risk of falling out of bed is an excellent safety measure. So who is a bed rail for ? For less mobile people or perhaps recovering from an injury (broken arm or leg), who need some extra support getting in and out of bed. To help someone adjust their position once in bed. 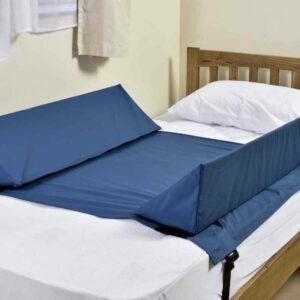 They can prevent bedridden patients from rolling or falling out of bed. For people with dementia and prone to wandering. A slatted base gives your mattress plenty of ventilation for the air to circulate and keep the mattress fresh, unlike the divan base which structure is covered with fabric. Is the rail to be fitted on one side or both ? Waterbeds – Rather than comfort materials and foam core and an innerspring system, the waterbed as the name suggests is a mattress filled with water. Sleep Number beds – Sense your movements then automatically adjusts firmness, comfort and support for you. You are able to choose what ever setting you prefer. Platform or Cabin bed – There support systems feature a built in foundation that will consist of either a slat support system, or may include a solid panel foundation. This is sometimes known as a ‘bed lever’ and attaches under the mattress or to the bed frame. 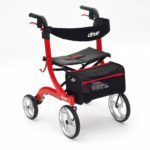 It has a metal support to allow the user to help them get safely in and out of bed. The Aidapt Solo Height Adjustable Bed Transfer Aid is a perfect addition for transferring in and out of the bed, without affecting other occupants at the time. It has a height adjustable hand grip for support, and a large stable base that fits easily under the mattress. It has a maximum weight limit of 127Kg (20 Stones). Depth: 680 mm (26 3/4 inches) Handle width: 325 mm (17 3/4 inches). If your looking for a slight variation in the handle design shape then the Patterson Medical Single Easy-Rail Bed Rail is worth looking at. It is ideal for any size bed, but only suitable for use with a slatted base. 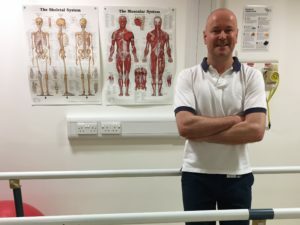 Many of Patterson Medical’s products have been developed in association with healthcare professionals, and end users to produce their own design and exacting standards. This ensures that they offer user suitability and quality products at all time. 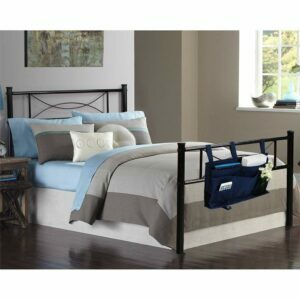 If you have a metal framed static or profiling bed, you could use the Patterson Medical Elland Bed Rail . It has two heavy duty screw clamps that fix directly to the bed’s metalwork. Although neat and easy to fit, the height of the grab handle is fixed at 650mm which may not be the optimum ideal height for every user, and you might need the flexibility of another grab rail. A safety bed rail with integrated storage pocket is ideal to store your phone, remote control, reading book or anything at all you want all within easy reach once in bed. Easy to assemble the rail slides underneath the mattress, held in place by straps. It has a push button adjustment to allow you to choose the desired height you want, and a soft foam covered comfortable grab handle. They have supports on both sides of the bed which allows the user to alternate which side they get in and out of. It also enables a person to re-position themselves once in bed. 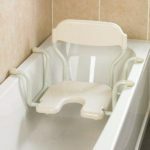 A double sided grab rail is especially useful if there are two occupants in bed who both require additional support when transferring on and off the bed. This saves the expense of purchasing two separate grab rails. The NRS Healthcare Adjustable Width Bed Stick has a durable telescopic frame, adjustable from a minimum width of 940 mm (37-inch) up to a maximum width of 1560 mm (61.4-inch). It is designed to be used with single, double and king size divan beds. The frame fits easily under any mattress but unfortunately is not suited for slatted, hospital or profiling beds. Bed rails extend along the side of the bed and can be used singularly, or in pairs. They help prevent the user from rolling out of bed onto the floor. They come in different designs and heights, often adjustable with a folding mechanism to lower the rail when the user gets in and out of bed. 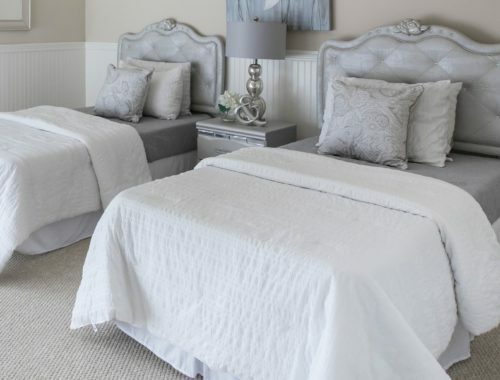 If a thick mattress is used as when the user needs pressure relief, extra high bed rails can be used to ensure that the rails are a correct and safe height. The Patterson Medical Cot Sides Home Bed Rails are suitable for divan beds in either single, double or 3/4 sizes. Made of chrome plated steel, they are hard wearing and easy to adjust. They have adjustable cross braces that fit under the mattress to ensure they are secure. The spring loaded buttons on clamps allow the user to alter the rails to the desired height. These Chrome Bed Rails are also available with an extra high version (height of 530mm / 21″), made by NRS Healthcare, to ensure the user is more secure and safe in bed. 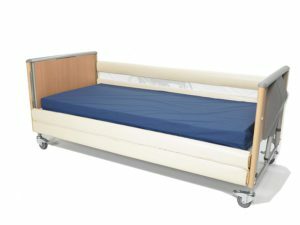 Some bed rails are length adjustable and can be fitted to any hospital or home bed. They can either be used as a half bed handrail assist, or be extended to a full-size bed rail for fall protection at night. The Stander EZ Adjustable Bed Support Rail is the only length adjustable bed rail on the market and offers four different positions for support. Adjustable rail lengths – 660mm (26″) / 863mm (34″) / 1066mm (42″). Allows the users to swing their legs over to get out of bed, or provides space for making the bed. A safety strap allows the rail to be attached on either side of the bed. 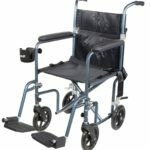 A simple button mechanism, on the top rail, allows for quick and easy adjustment of the rail, making it perfect for the carer who requires easy access to the user. These are cushion supports that attach to headboards, foot boards and bedside rails which prevents the user injuring themselves on the hard metal. The NRS Healthcare Bumpers for Wooden Bed Rails protect against any injuries from the cot sides. Designed for profiling beds. The fit to bed side rails/cot sides that have two bars on each side. These are triangular shaped foam cushions which help prevent the user accidentally rolling out of bed. NRS Healthcare Bed Side Wedges are suitable for any single bed, and as an alternative to traditional side rails. They are placed along the edges of the bed attached to a draw-sheet. Using release buckles and straps the draw-sheet is held in place against the bed. Able to be attached onto any bed rail or headboard. The Bedside Caddy Storage Organiser has numerous pockets to fit almost anything, all within easy reach. The Bedside Storage Bag has 8 various pockets that can fit almost anything including iPads, Kindles, iPhones, remote controls, flashlights, notebooks, pens, tissues etc. 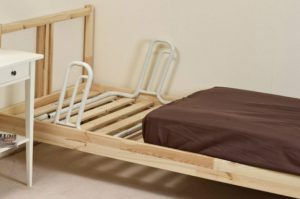 Bed rails successfully prevent many falls, but their incorrect use has resulted in the serious injury or even deaths of bed occupants by asphyxiation through entrapment in gaps. Risk assessment is key to ensure the safe use of rails. This should start with the bed occupant and include the proposed equipment, bed and mattress. If the person is likely to fall from their bed, are bed rails an appropriate solution ? Is the bed rail height appropriate for the bed occupant ? 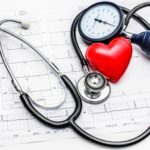 Does the person’s physical size present a risk ? Does the person’s behaviour present a risk ? Can the person’s head, neck, chest or body become trapped between the bars of the bed rails ? Are gaps created by the bed, rail, mattress and head / foot board combination a risk to safety ? Is the bed rail fitted correctly ? ( Is it likely that the rail will move away from the side of the mattress or bed during use ). If either the bed, mattress, bed rails or condition of the bed occupant changes then a new risk assessment should be carried out. 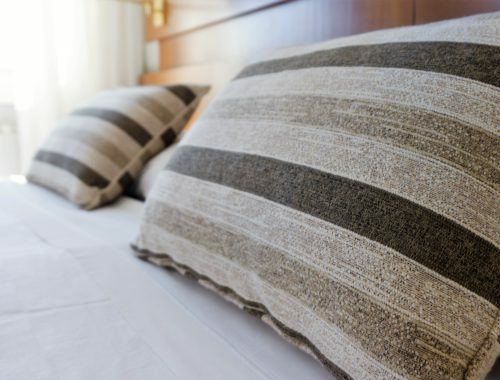 Any gaps that could cause entrapment of the head, neck or chest when the mattress is compressed between the end of the bed rail, and the headboard or foot board. Using bed rails which are not compatible with the bed base. Using insecure fittings that let the bed rail drop down, or move away from the side of the bed. Bed rails with missing parts. Using bed rails that have not been maintained regularly. Hopefully the above provides a guide to the different types of bed rails for the elderly that are available. As with any product it is up to the individual and their specific needs. If in doubt users should consult a health care professional or seek medical advice prior to purchasing. If you have any questions please feel free to contact me at mark@elderlyfallsprevention.com and I will be happy to help. Keep up the good work giving people valuable information on this subject. 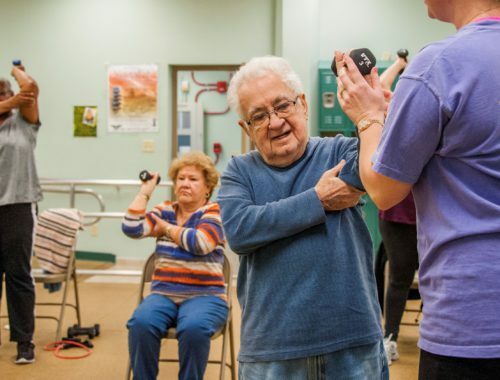 Falls, as you know, are one of the highest percentage contributors to a decline in health for the elderly. My Father-in-law declined considerably after two falls, passing away shortly after the second fall. 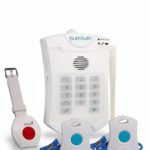 Though I am not in the market currently for elderly assistance products, let me ask you a question. Do you know if the suppliers are responsive by way of helping with the questions you present in your information? For example, is the bed being used the right style for the side rails? I hope many more people get information like this to help with the sometimes difficult process of care-giving. Thanks for the feedback Bob and I am sorry to hear about your father-in-law. Suppliers of bed rails will gladly provide answers to any questions or queries over the correct bed rail for the bed and individual. However, each person has very different limitations and specific needs. If in any doubt as to the correct product, one should consult a health care professional, or seek medical advice prior to purchasing. My mom lives by herself. Although she gets around pretty good, I have noticed she sometimes looses her balance. I have been considering making some improvements like this in her home to make her safer, and make me feel better. She is a stubborn one so I hope I can convince her. My mother is not yet elderly but is bed-bound due to a brain injury. We have bed rails on her bed but I was unaware of the risks involved with getting stuck between the mattress and the railings. The bed bumpers sound like a great idea as well as the cushions as she is already doing something similar but with regular pillows. Having a bed-bound family member is a stressful thing and it seems like there are so many things that we are unaware of until the worst situation happens. It’s good to know that there are websites like this to help us get through it. Valerie, thanks for the feedback and I am so sorry to hear about your mother. There are many products and associated accessories on the market that will be beneficial to your mother. 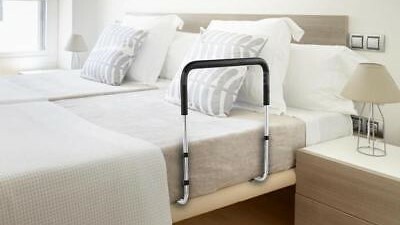 Bed rails for the elderly can provide an excellent safety measure to reduce the risk of falls, when used correctly. Please feel free to contact me if you any specific questions over any products and I will gladly help. 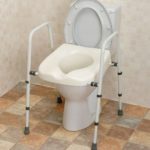 Unique and nice only hub for the elderly.Your blog post- Bed Rails for the Elderly is informative. Keep Up the good work. I appreciate your feedback Vic, thanks again. Thank you for the great information. My stepfather suffered a stroke last year and this is something my mother has been looking into for him. She currently is the only support he has to get in and out of bed. I will pass this information on to her, I am sure it will help her to be better informed about what will work out better for them. questions over the correct product to buy. My grandfather used bedrails as he aged. I was young and had no idea how much care had been taken to decide the bedrails of his bed. My mom and aunt were nurses and handled such details. This article has given me insight into what they were thinking and why they used the bedrails they used. Thanks. Thanks for the feedback. I am glad you found the information useful. Your article on bed rails is very informative and interesting. I think bed rails are used in most hospitals because there are so many elderly people. I am too young for a bed rail right now. Thanks Roger I appreciate your comments. 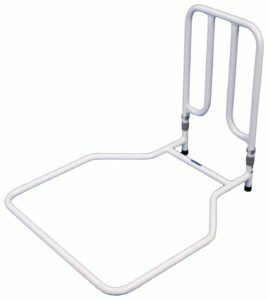 Bed rails are an important addition in hospital whether as a transfer aid assisting someone in and out of bed, or helping someone reduce their risk of falls.